If anyone was worried that the lack of weekday games in the knockout stages of the RWC might result in rugby fans’ attention dwindling – they can rest assured, the IRB are providing plenty of headlines off the field. Here are 3 ways of making sure you feature in that headline alongside them. 1. Use your twitter account to compare the IRB’s treatement of Tier 2 nations to Apartheid and the Holocaust. 2. Call the ref who presided over your final pool match a “biased, racist pr*ck”, also on Twitter. 3. Then DO NOT pitch up for the resulting IRB hearing. After you’ve checked all three these boxes you will get banned from playing rugby professionally. Well done, hoor. 4. Do TV interviews to deny knowledge about said hearing, concede that you might not have gone anyway even if you knew and say that you stand by comments 1 and 2. 5. When you receive notice of a second hearing , take to said Twitter account to complain about the IRB only giving you 2 hours to prep your case and the fact that you have submissions of 600 pages to work through in order to do this. 6. Pitch up to the hearing and ask for a postponement. To follow the Eliota Fuimaono Sapolu money-back guarantee 6 step program to Rugby alienation keep track of his steady stream of tweets and make notes. EXHIBIT B: How to piss the IRB off if you’re a religious player. 1. Write a biblical passage on you arm strapping. If you want to write religious messages on your arm strapping (this is popular among some teams) you have to have it approved by the IRB. Why? Because they don’t want “offensive or political statements” – from the Bible??? EXHIBIT C: How to piss the IRB off if you’re a …. romantic? 1. Do not broadcast a poster-proposal to a girl back in England if you are the host broadcaster. 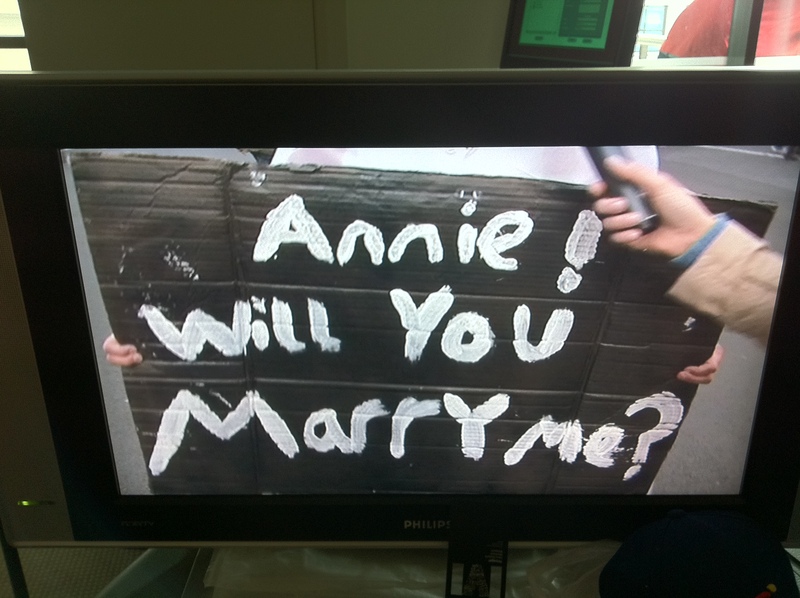 Sky Sport put him on TV at halftime and he asked his Annie back home to marry him. The IRB actually sent Sky a text saying “no more marriage proposals on TV please”. So voila, there you have it, 3 sure-fire ways of getting the IRB on your case. Hear Me Now: To be heard, listen. The 1 modern “convenience” I dread using.